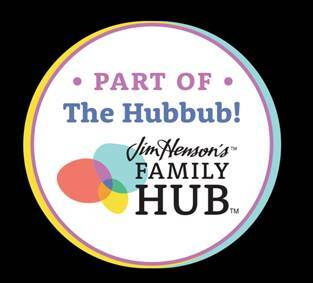 (December 1, 2017– Los Angeles, CA) – The Jim Henson Company, Herschend Studios, Varèse Sarabande Records, and The Cutting Edge Group announce the inaugural release of music from the hit PBS KIDS preschool series, Splash and Bubbles. 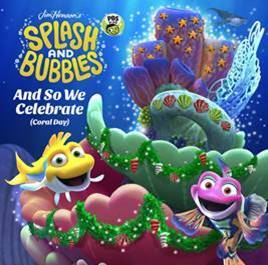 The single, “And So We Celebrate (Coral Day)” will be available on all major digital retailers on December 1, 2017, in celebration of the holiday season and the all-new episode “Coral Day” premiering on December 11, 2017 (check local listings). In “Coral Day,” it’s the holiday season in Reeftown and everyone is getting ready for Coral Day, a celebration of the wonderful coral that makes up their home. Splash, new to Reeftown and its traditions, wonders what he can contribute to the festival. With themes of unity, family, friendship, and gratitude, the single written by award-winning songwriter Mike Himelstein and his long-time Henson collaborator Dena Diamond, features vocals from cast members including the show’s creator John Tartaglia as Splash, Leslie Carrara-Rudolph as Bubbles, Raymond Carr as Dunk, and Aymee Garcia as Ripple. “And So We Celebrate (Coral Day)” is a true holiday classic in the making. The digital release will be accompanied by a special behind-the-scenes video of the recording in Studio A at the world-famous Henson Recording Studios, one of the music industry's top recording facilities known for iconic recordings like “Tapestry” (Carole King), “Rock & Roll” (John Lennon), “A Kind of Hush” (The Carpenters), and “We Are The World (USA for Africa)”.